Three months have passed since an accident involving the collapse of a subway tunnel, and the day that Dr. Aizawa and his team must depart is approaching quickly. Although the departure means “good-bye” for people who have worked together for ten years, many feelings remain unspoken. Despite these feelings, their mission continues. 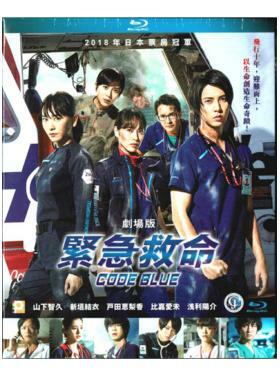 An unprecedented accident occurs over the “sky” and “sea” and they must face the worst accident in history. What answers lie beyond…?